Click on title to reveal or hide the news. There's still time to use our discount code CYBER18 on most HO Scale Slot Cars, Bodies, Race Sets, and Model Kits by 10%. Also included are Scalextric 1/32 Race Sets and Cars. Free shipping on ALL orders over $50 domestically. Pro-Rated shipping is still in place for international orders. First come, first serve on all items. Order as many times as you want throughout the week. This sale will end on Sunday at midnight eastern time. We build these chassis to spec using Viper parts complete with 6-Ohm arms, razor fronts and DF rears with 7T pinion and 23T crown gears. These cars are super fun to drive and handle well in the corners. We will also allow original stock SG+ chassis with 2-dot gray polymer magnets as these have about a level 4 gauss rating. Just arrived and ready to ship is Super III NASCAR Release 4 which include the final tribute Axalta #88 Earnhardt Jr car. Don't pass this one up as it is sure to be worth something someday... Use SC333 in the search bar. Still to come this week is the 14' Zombie Escape Race Set featuring a "Creep Sweeper" Escape Baja Bug and "Times Up" Taxi Cab along with 6 Glow-in-the-Dark Zombie Figures. We still have a large complement of Mega-G complete cars available. Check out he site as we've been doing inventory. We have a full complement of Mega-G+ cars in stock along with all available race sets, track, and accessories. We carry kits from AMT, MPC, Polar Lights, Tamiya, and others all at discount prices. We've been informed that ECX and Dromida can only be purchased in our retail store. They will no longer be able to be viewed on our site until we fix that issue. We carry Traxxas, LaTrax, Redcat, Team Redcat, Losi, Team Losi Racing, Arrma, Axial, ECX, Tamiya, Vaterra, and other brands. We have a parts wall that most stores can't compete with. If we don't have it, it'll be here the next time you come in. All, of course, at minimum allowed prices. Our controllers of choice are Spectrum. Currently you can take advantage of a controller trade-up program as well as discounts on receivers if you purchase 3 or more. We carry Blade, Traxxas, Dromida, ProBoat, and Revolution. Mostly beginner with some intermediate Ready to Run and Bind n Fly. We are a full service store. This means we do repairs on most anything we carry. This includes RC planes, drones, helicopters, cars, and trucks along with slot cars. Bring it in and we'll let you know if it can be done and at what cost. More information available as we have it. We want to wish everyone a very healthy, prosperous, and joyous New Year. We also want to thank you for your thoughts, prayers, and continued patronage during this trying time for myself and my family. I spent 5 1/2 months, dealing with misdiagnosis, trying to save what couldn't be saved and am now recovering from major surgery. According to the doctors it was the best decision we could have made. After the recovery period is complete, I'll be able to devote much more time to the website and store. Yes this means that orders will be sent out in a much more timely manner. We will be shutting down the website, retail store, and other sales venues sometime toward the end of January or February for a period of 2 weeks. This will allow us to take a full physical inventory and remodel our retail space both in the sales and storage areas. We'll be sending out another newsletter along with announcements on Facebook, Twitter, Google, and any other social media sites we frequent, one week in advance. Don't worry... once we're back up and running, we'll include a coupon for any inconvenience this may cause. We've sold off our big 24' x 4' Tomy AFX race track. This allows us to make room for HO Scale drag strip in 2018. We have it spec'd out already and can't wait to get it up and running. Announcement! If you're into Scalextric cars, we've permanently lowered the prices of older cars in stock to match the newer lower price from our friends at Hornby. You'll be able to save $10 or more off the suggested retail price. Pick them up while they're still in stock. Sunday, March 12th - Detroit Slot Car Swap Meet at Club Canton with tables full of new and vintage HO, 1/32, and 1/24 scale slot cars, parts, and accessories!... held at Club Canton, 39651 Michigan Ave, Canton, MI 48188. Open 10am - 2pm, free admission. Free parking. Contact Brad Blohm - bblohm@att.net - (734) 578-8582 or Nick Zuk - zukfamily@camcast.net - (734) 729-2418 for more information. Sunday, March 19th - Midwest Slot Car Show held at the Lincoln Center, 2450 Lincoln St, Highland, IN, about 1 1/2 miles south of the junction of I-80/94 and US 41 Indianapolis Blvd. Open 10am - 3pm, admission is $6, children under 16 free. Floor rights at 8am. Hotel for room trading Saturday, March 18th is (formerly the Inn Of Hammond) the Comfort Inn, 7813 Indianapolis Blvd, Hammond, IN 46324, 219-845-4678. Contact us if you want additional information. Sunday, March 26th - 22nd Maryland (formerly Aberdeen) Slot Car Show & Swap Meet held at the Hilton Garden Inn, White Marsh Mall, Baltimore, MD, about 35 miles south of the Delaware/Maryland border right off of Interstate 95 at Exit #67B. The Hilton Garden Inn's address is 5015 Campbell Boulevard, Baltimore, MD 21236 and their direct local phone # is 410-427-0600. Sunday, April 30th - Richfield Slot Car Show & Swap Meet held at the Richfield Days Inn hotel in Richfield, OH, about 1/2 mile south of Ohio Turnpike Exit 173. The Days Inn hotel's address is 4742 Brecksville Rd, Richfield, OH 44286 and their direct local phone # is 330-659-6151. Admission from 9:30a-3:30p is $5/person; EARLY "floor rights" at $20/person 8a-9:30a. We have many of the original Mega-G cars available for purchase. If you don't see it, we may actually still have it. Let us know what you're looking for. We carry all new 1/43 Carrera cars, sets, track, and accessories. We carry all new analog and digital 1/32 Scalextric cars, sets, track, and accessories. The day after Thanksgiving! What are you thankful for? We're thankful for our family, friends, good health, and a roof over our heads. We're also thankful to you, our customers, who keep this hobby alive. Always remember those who are in need. Not everyone is as fortunate as we are. Support your local hunger centers and shelters. Always be thankful for the blessings you've received. Have a Great Holiday Season! If you're coming in, we're offering a $10 gift certificate for every $100 spent today only. It can be used at a later date. You can also order and pay online, then come in to get your merchandise and we'll give you your gift certificate(s) as well. For every $100 spent on our website today only you will receive a credit of $10 towards a future purchase. This will end at midnight EST tonight. So get your orders in while we still have inventory. This will not be combined with in store pickup. HO Scale Routed Dragstrip has been ordered and is scheduled to arrive in December. We'll be getting the store ready to get it setup as soon as it arrives. We've acquired a state race on December 10, 2016. This will be our 2nd one this fall. Joining us will be the current National Super Stock champion. A remarkable thing to watch these guys race. We're going to try and get some videos up on the site for your enjoyment. Check out http://www.ohioho.racing for more information. We are no longer just a slot car store. We carry RC cars and trucks from Traxxas, ECX, Losi, and Vaterra. We also carry a full line of parts. All at very competitive pricing. All Model kits are on sale. Simply use discount code MODEL15 at checkout and receive an additional 15% off of our already low prices. We've added Sunday hours to our open days list. This is from now through at least the end of the year. Sunday, November 13th - Midwest Slot Car Show held at the Lincoln Center, 2450 Lincoln St, Highland, IN, about 1 1/2 miles south of the junction of I-80/94 and US 41 Indianapolis Blvd. Open 10am - 3pm, admission is $6, children under 16 free. Floor rights at 8am. Hotel for room trading Saturday, November 8th is (formerly the Inn Of Hammond) the Comfort Inn, 7813 Indianapolis Blvd, Hammond, IN 46324, 219-845-4678. Contact us if you want additional information. We carry all new analog 1/32 Scalextric cars, sets, track, and accessories. We've purchased several collections that aren't currently on the site. After this weekend, we will be completing our inventory and updating the site with many new goodies. Hope everyone is having a great summer. We've been busy ourselves traveling meeting up with great people in the hobby. Sometimes we pick up a thing or two along the way. Many more items will hit the site over the next couple of months. We're currently running a 25% discount on all Scalextric products in store. Why only let the store customers have all the fun. Let's let everyone get the same deal. Now through the end of July, use discount code SCALE25 at checkout to receive 25% off any Scalextric item on the site. This includes 1/32 and 1/64 cars, track, sets, parts, and accessories. We now carry RC Cars and Trucks from Losi, ECX, and Traxxas. We also are starting to carry replacement parts. All items are sold at allowed minimums so you won't find a better price. If you do it's being sold illegally. Racing every Friday evening from 7pm - ?. Come and join us if you're in town. We have several loaners and the controllers are on us. We've just started an AW Thunderjet Ultra-G series on Tuesday nights from 7pm - ?. We sell complete cars to get you started and hop up parts to keep you competitive. HO Scale Drag Strip is currently under development. We've decided to install a routed 2-lane scale 1/4 mile 20.625' with a 4' shutdown. Still trying to decide on the correct timing system to achieve automated storage of race results. Anyone have any ideas? 4Gear Release 17 Legends have come and gone. These sold out faster than anything we've ever carried. But don't worry, we've been told that another shipment will be available within a few months. Super III Set NASCAR 10� Stock Car Shoot-Out is now in stock and ready to ship. 4Gear Set Ghost Busters Haunted Highway 2 is now in stock and ready to ship. We're offering a deal if you want to purchase both Ghost Buster sets together. Simply search for part AWSRSGBS. You'll get an additional 15%+ off of our already low individual purchase price. It appears that AFX is now back in the EU after a long absence. Shipments are supposed to start in September. Unknown if these same sets / cars will be available here in the US. We carry all new 1/43 Carrera GO!!! cars, sets, track, and accessories. Well it's been quite a while since the last newsletter went out. That's because there's been little to nothing new to tell you. So we had to create our own excitement. Due to an error on our part, we accidentally erased all of our inventory from the site. We've been working tirelessly over the last few days to get it back. Unfortunately we couldn't make it totally accurate. But don't worry, worst case scenario, we actually have more than what we actually show. To celebrate the fact that our site is back up, we've instituted a discount code. This code will give you 10% off your entire order after all others discounts have been applied. This will also include specials. Use discount code MAY10PCT during checkout as many times as you'd like on orders of $50 or more to get that 10% off. This offer is valid through the end of May. We've also posted it on the home page of the site in case you forget it. Starting next week, category Bob's Basement Finds will have several new items. We will return to updating it every Wednesday with one or multiple items. Short track, 62'+ per lane Tomy AFX, sits on a 16' x 4' with a 4' "L". It is our road course and was originally designed for Tjets. Of course we run other classes on it as well. Long track, 92'+ per lane Tomy AFX, sits on a 24' x 4'. It is our speed track that was used for the Nats several years ago. We run any and all classes on it. Tyco 440-X2 narrow chassis with either Lamborghini or '79 Corvette bodies. Bicycle fronts, double-flange rear wheels with silicone tires are allowed. Everything else must remain stock. Our house class is a Viper level 4 chassis with a SG+ F1 body. The chassis is built with 100% Viper parts which include SG+ upgrade kit (chassis, timing bracket, level 4 traction magnets, magnet clip), 6-ohm armature, standard end bell, bicycle front (.344), 7T pinion gear, rear axle setup (23T crown gear, t-boss, .250 double-flange hubs, .432 silicone tires). This setup can be purchased on our site. Waiting for word on anything... so far dates have all been pushed back with no indication of whether or not they're even close to being accurate. The only thing that we've found out is that they're working on a Porsche 917 body to be released ???? Primary track is currently under some minor repairs. It will be ready for this Friday nights race. We've had a full house since the beginning of the year allowing us to run multiple races for each class. Come and check us out, much better than staying all cooped up in the house. We're open Fridays from 5pm - ????. Information will be posted on the site about the classes that we are running shortly. The final releases of 2015 have arrived and shipped. There hasn't been any news about anything new that we've been able to determine. Everything that was promised in 2015 is in stock. There hasn't been any news about anything new that we've been able to determine. What are you thankful for? We're thankful for our family, friends, good health, and a roof over our heads. We're also thankful to you, our customers, who keep this hobby alive. Always remember those who are in need. Not everyone is as fortunate as we are. Support your local hunger centers and shelters. Always be thankful for the blessings you've received. Have a Great Holiday Season! We're 3 weeks away from getting the 105' 4-lane Tomy track fully up and running. The track was used years ago for the nationals and has been somewhat modified. The "L" has been removed and it is now on a 24' x 4' table. Initial pic of the layout can be found on our website under the Store Opening category. We carry the full line of parts and chassis from Viper. These parts replace BSRT G parts effectively. They can also utilize most parts from the original Tomy SG+ chassis. Check out their site at http://www.viperscaleracing.com or simply order them from us. You can find the Viper Scale Racing category under HO Scale Parts. We added a new category BAD Racing Products. We will be posting items that will make racing more fun and exciting. These will be assemblies from NOS OEM parts. Still playing a bit with design. Hoping to eventually allow you to custom build a chassis to your choosing with parts we have available. Check out our site for some individual parts for both Mega-G and Mega-G+ chassis. BIG NEWS!!! If you haven't heard yet! Harden Creek Slotcars, LLC out of Lakeland FL (http://www.hcslots.com) has purchased all rights to the Life-Like slot car product line. Terry Flynn has indicated that new product will be coming. Exactly when is still to be determined. So stay tuned and we'll be giving you as much detail as we find out as fast as we can. A product line that was just too good to die... woohoo!!! We carry all new analog and some digital 1/32 Scalextric cars, sets, track, and accessories. Sunday, September 26th - 19th Maryland (formerly Aberdeen) Slot Car Show & Swap Meet held at the Hilton Garden Inn, White Marsh Mall, Baltimore, MD, about 35 miles south of the Delaware/Maryland border right off of Interstate 95 at Exit #67B. The Hilton Garden Inn's address is 5015 Campbell Boulevard, Baltimore, MD 21236 and their direct local phone # is 410-427-0600. Sunday, October 11th - Detroit Slot Car Swap Meet at Club Canton with tables full of new and vintage HO, 1/32, and 1/24 scale slot cars, parts, and accessories!... held at Club Canton, 39651 Michigan Ave, Canton, MI 48188. Open 10am - 2pm, free admission. Free parking. Contact Brad Blohm - bblohm@att.net - (734) 578-8582 or Nick Zuk - zukfamily@camcast.net - (734) 729-2418 for more information. Sunday, October 25th - Richfield Slot Car Show & Swap Meet held at the Richfield Days Inn hotel in Richfield, OH, about 1/2 mile south of Ohio Turnpike Exit 173. The Days Inn hotel's address is 4742 Brecksville Rd, Richfield, OH 44286 and their direct local phone # is 330-659-6151. Admission from 9:30a-3:30p is $5/person; EARLY "floor rights" at $20/person 8a-9:30a. Sunday, November 8th - Midwest Slot Car Show held at the Lincoln Center, 2450 Lincoln St, Highland, IN, about 1 1/2 miles south of the junction of I-80/94 and US 41 Indianapolis Blvd. Open 10am - 3pm, admission is $6, children under 16 free. Floor rights at 8am. Hotel for room trading Saturday, November 8th is (formerly the Inn Of Hammond) the Comfort Inn, 7813 Indianapolis Blvd, Hammond, IN 46324, 219-845-4678. Contact us if you want additional information. We've restocked an everything that we can still find. Much of the recent releases have been sold and and reordered. Contact us if you're looking for something specific that isn't posted. Wishing everyone a joyous, healthy, and prosperous New Year!!! Store move is underway... Our retail store will be closed from Wednesday December 31, 2014 through Thursday January 8th, 2015 for the big move and setup at our new space. This will NOT affect the website whatsoever. All online orders will be processed as received and we will make every attempt to ship within 48-72 hours of payment. Sunday, December 14th - Morgantown Toy Car Extravaganza V held at the Holiday Inn hotel in Morgantown, PA, less than 1 mile off the PA Turnpike exit #298. The hotel's address is 6170 Morgantown Road, Morgantown, PA and their direct local phone # is 610-286-3000. Admission from 10:00a-2:00p is $5/person; EARLY "floor rights" at $10/person 8:30a-10:00a. Thanks to all that could make it to the Richfield show last weekend. It was great seeing everyone! Sunday, November 9th - Midwest Slot Car Show held at the Lincoln Center, 2450 Lincoln St, Highland, IN, about 1 1/2 miles south of the junction of I-80/94 and US 41 Indianapolis Blvd. Open 10am - 3pm, admission is $6, children under 16 free. Floor rights at 8am. Hotel for room trading Saturday, November 8th is (Inn Of Hammond is being remodeled) the Holiday Inn Express, 2323 172nd St, Lansing, IL 60438, 708-418-1188 use group code SLT. Contact us if you want additional information. Some old inventory has hit the distributors. We'll be restocking what we can as soon as possible. Sunday, October 26th - Richfield Slot Car Show & Swap Meet held at the Richfield Days Inn hotel in Richfield, OH, about 1/2 mile south of Ohio Turnpike Exit 173. The Days Inn hotel's address is 4742 Brecksville Rd, Richfield, OH 44286 and their direct local phone # is 330-659-6151. Admission from 9:30a-3:30p is $5/person; EARLY "floor rights" at $20/person 8a-9:30a. Note we only have a sign in the window if you have trouble finding us. We're located next to Bucci's Brick Oven Restaurant. Call if you want to come to the store and can't make it during our normal hours. There's a good possibility we'll be there anyway. Just got back from dealer days and have we got some news for you. Everything that we've found out can be found later in the newsletter... keep reading! Pictures and information will be posted as soon as I can get them together under the Miscellaneous section of the site. Due to some remodeling requirements we've been forced to delay our planned move. New move date is scheduled for the weekend of November 15th. Sunday, October 12th - Detroit Slot Car Swap Meet at Club Canton with tables full of new and vintage HO, 1/32, and 1/24 scale slot cars, parts, and accessories!... held at Club Canton, 39651 Michigan Ave, Canton, MI 48188. Open 10am - 2pm, free admission. Free parking. Contact Brad Blohm - bblohm@att.net - (734) 578-8582 or Nick Zuk - zukfamily@camcast.net - (734) 729-2418 for more information. Sunday, November 9th - Midwest Slot Car Show held at the Lincoln Center, 2450 Lincoln St, Highland, IN, about 1 1/2 miles south of the junction of I-80/94 and US 41 Indianapolis Blvd. 100 tables of HO, 1/32nd, 1/24th scale slot cars and accessories. Open 10am - 3pm, admission is $6, children under 16 free. Floor rights at 8am. Hotel for room trading Saturday, November 8th is the Inn Of Hammond, 7813 Indianapolis Blvd, Hammond, IN 46324, 219-845-4678 use code SLOT for special rate. Contact us if you want additional information. Information and pictures will be posted on the site as we acquire them. Copy of the flyer (front and back) available upon request via email. Old products have been discontinued and new products have been announced. Many part number changes as well. Sadly, no product expected until after the 1st of the year. Here is a list of changes... they will be added to the site as soon as we get approximate arrival dates. --- Completely new pick-up shoe design which allows them to rest against the track right out of the package. They are wider and are raised on both sides making them just rigid enough to keep them steady. F1 bodies have been modified due to the size of the motor. Front wing has been narrowed. Tabs have been raised by 1mm. Part of the inside have been removed and adjusted to fit over the motor. Unfortunately, the old F1 bodies will not fit the new chassis. All other bodies require no changes and can be used on the new chassis. Also a new GT40 Mk I body style was presented. All of the current production depict GT40 Mk II bodies. We have many in stock an many more will be arriving soon. Even if Walther's isn't producing any more product, we'll have you covered for quite some time. Check out the site for updates as we get them in. Thanks to all who could come out to participate in the Baltimore show this past weekend. Saw some familiar faces and met some new wonderful people. A great time as always!!! We're heading out at the end of the week for dealer days and we'll pick up as much information about what's going on in the slot car world that we can find out. Next newsletter will have all of the details! Sunday, September 28th - 17th Maryland (formerly Aberdeen) Slot Car Show & Swap Meet held at the Hilton Garden Inn, White Marsh Mall, Baltimore, MD, about 35 miles south of the Delaware/Maryland border right off of Interstate 95 at Exit #67B. The Hilton Garden Inn's address is 5015 Campbell Boulevard, Baltimore, MD 21236 and their direct local phone # is 410-427-0600. We're all packed and off to the show. But for those that can't be there we have a subscriber only special for you. Use discount code BALTSHOW from now until Sunday 09/28 midnight EST and receive a 10% discount off of your entire order after all other discounts have been applied. For those that can make the show, mention this email and we'll do the same. Pre-order prices are now being reflected in the shopping cart per request. Many new items are being activated on a regular basis with many, many, many more to come. New categories are being activated and old categories are being moved around. Many product updates to attempt to get a uniform feel on the site. For example: Product number that end with a B are bodies, P are packaged, and none of those loose. This is still an ongoing process. If you see one that doesn't look correct let us know so we can correct it... thanks! Planned move date is the weekend of October 18th. Pictures of each car can be found on the site where we have them. RR Rel 8 pics aren't accurate. All Items that are on our website are new and unused. We have no plans to sell anything used there, that is why we do shows and other venues. If the car is loose, if possible, we will battery test the motor prior to shipment. This way we can guarantee you will receive a working chassis on your purchase. We will NOT track test anything ourselves. If the car is packaged, we will not open it, therefore we cannot test it. Model Hobby Shop has finally completed their shipments of new product (1/32 and 1/64) and restock of old. We've already placed another order based on past sales so we won't be out of stock too long. Design is ongoing for our own version of these building kits. A line should be available this fall. More info in the next several newsletters. Now you can see the exact price that we will be charging you for pre-orders below our normal price. This way you know ahead of time what you'll be paying when the item arrives. Received word that the previously announced drag strips will not be produced. We've removed them from the site and cancelled all pre-orders as well. This is the only Thunderjet 500 release that has been announced so get them while they're available. As we haven't received word from Model Hobby Shop, I can only assume they are no longer going to produce their product. Therefore, we're in negotiations with a local company to reproduce the building kits. This will also give us a lead time of days versus months. These kits will be similar in design with a slightly different material which will allow them to be assembled without glue. We will be producing both a 1/64 and 1/32 scale line. Stay tuned for more information in the upcoming weeks. Additional items including the Indianapolis 500 race set should be arriving soon. We've officially been informed that Walther's will no longer be producing the Life-Like Racing product line. Sales are going fast on what we have in inventory. We'll be open Saturday, April 26th from 1pm - 9pm. We'll be offering show prices on all items. Bring your race case and get on the track. Free track time, car, and controller rentals. Sunday, April 27th - Richfield Slot Car Show & Swap Meet held at the Richfield Days Inn hotel in Richfield, OH, about 1/2 mile south of Ohio Turnpike Exit 173. The Days Inn hotel's address is 4742 Brecksville Rd, Richfield, OH 44286 and their direct local phone # is 330-659-6151. Admission from 9:30a-3:30p is $5/person; EARLY "floor rights" at $20/person 8a-9:30a. The latest 4-Gear Release 14 NHRA Legends cars are on their way and should arrive no later than mid next week. If you haven't gotten your pre-orders in, now is the time. We've ordered extra inventory to match the current demand so there shouldn't be any shortage. Pictures of each car can be found on the site. We found a major glitch in the system which was double-updating our inventory for almost every order. This has been corrected and shouldn't happen again. What does this mean, well we probably have much more inventory than we thought. A complete physical inventory will start after the show this weekend. So watch the site for updates on items we may currently show as out of stock or don't even display. Updates will occur whenever we find a discrepancy. We're still awaiting word of shipment of our last MHS buiilding kit order which includes 1/32 and 1/64 reorders. No word from the company which is making us wonder if they're still in business. We did set aside kits for the shows this year so that we will have some available. The kits will not be on the tables due to lack of space, however, we will have them with us. Thanks to all that came out and saw us at the Midwest Slot Car Show. It was great to put a face to a name. Thank you for your continued support! Sunday, April 6th - 16th Maryland (formerly Aberdeen) Slot Car Show & Swap Meet held at the Hilton Garden Inn, White Marsh Mall, Baltimore, MD, about 35 miles south of the Delaware/Maryland border right off of Interstate 95 at Exit #67B. The Hilton Garden Inn's address is 5015 Campbell Boulevard, Baltimore, MD 21236 and their direct local phone # is 410-427-0600. Sunday, April 13th - Toy Car Trifecta including Slot Cars, Diecast Cars, Model Kits, and more... held at the Massapequa Elks Lodge, 2162 Veterans Blvd, Massapequa, NY (Long Island). Open 10am - 2pm, admission is $5, children under 12 free. Floor rights at 8am are $20. Free parking. Contact Ernie (516) 680-2399 or Bob (203) 804-2455 for more information. Much more inventory on its way... we will be offering specials on certain categories and releases when we return from Baltimore this weekend so check out the site for updates. Pictures of each car can be found on the site. They are expected sometime in May. We've been informed that AutoWorld will no longer be producing their 1/25 scale kits. So the new ones that were on the site for pre-order have been taken down. All remaining inventory has been reduced to blow out prices. We're still awaiting word of shipment of our last MHS buiilding kit order which includes 1/32 and 1/64 reorders. We did set aside kits for the shows this year so that we will have some available. Sunday, March 16th - Midwest Slot Car Show held at the Lincoln Center, 2450 Lincoln St, Highland, IN, about 1 1/2 miles south of the junction of I-80/94 and US 41 Indianapolis Blvd. Open 10am - 3pm, admission is $6, children under 16 free. Floor rights at 8am. Hotel for room trading Saturday, March 15th is (Inn Of Hammond is being remodeled) the Holiday Inn Express, 2323 172nd St, Lansing, IL 60438, 708-418-1188 use group code SLT. Contact us if you want additional information. We're in the process of restocking many of these items. Unfortunately our physical inventory was never completed properly so we've found quite a bit of product that isn't currently on the site. This should be rectified within the next week or two. Check the site for updates. You can also put a reminder on a product (on the product page) to be notified when we get more in. Let us know if you need assistance with that. We've unofficially been informed that Walther's will no longer be producing the Life-Like Racing product line. We are still offering FREE domestic shipping on all orders of $10 or more. This offer is good only through the end of January. 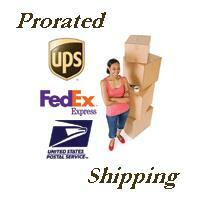 International orders will still use our Pro-Rated shipping. We've updated the site to take pre-orders for the 1/32 MHS Building Kits. All pre-orders will receive an additional 10% off the the posted price. These are expected to arrive within the next 2-3 weeks. Great items for your track layouts. Also check out the new HO Building Kits category for more of their great original and new 1/64 items. Sorry for the inconvenience but you will not be able to complete an order this weekend, Jan 11th and 12th, so that we can take a complete physical inventory of all of the product in the store. You will be able to add items into your shopping cart but you won't be able to checkout. You will then be able to complete your purchase once we open the site. Sunday, February 2nd - HO Superbowl Show held at the Huntington Hilton, Route 110, Melville, NY. Open 10am - 2pm, admission is $5, children under 10 free. Floor rights at 8am $20. For More info contact: Bob Beers, PO Box 601, Griswold, CT 06351 (203) 804-2455. In stock and ready to ship... if you haven't picked these up yet. If you haven't been to the Walther's website lately you'll be in for somewhat of a surprise. It appears that Walther's is not producing any new slot car product. Almost all old product is being discounted for immediate sale and when it's gone it's gone... Could this mean that they don't intend to continue the Life-Like slot car product line? No one has been able to confirm or deny... If anyone finds anything out let me know so that it can be shared with all! A BIG GOODBYE to 2013 and a very anticipated Welcome to 2014!!! We plan on locking down the site for 3 days to take physical inventory. This is currently planned for 1/10 - 1/12. You will still be allowed to add items to your shopping cart but will not be able to complete your purchase. We will send out emails to all registered individuals with items in their carts once we are finished so that you can complete your purchases. Sorry Ohio but our accountant has indicated we can no longer eat the sales tax. As of today, all Ohio orders will be required to pay the 8% sales tax. We've already enforced that for in store purchases. If you haven't noticed, we've added an "in store pickup" option to the shipping selections. You can now make arrangements to come to the store to get your items, thus saving time and monies. We've decided to keep the free domestic shipping on all orders over $10 through the end of January... Happy New Year! There are only 6 cars in this set which means 2 sets per inner case. Master case still has 48 cars but now only comes with one iWheels if any. Remember pre-orders receive a special discount from the posted price. The long awaited '69 Camaro and '69 Mustang are due to arrive within the next 2 weeks. We have plenty on order to cover all of the pre-orders and more.